Mrs. Doris Malpass Holland, 96, of Clinton, passed away Monday, August 27, 2018 at Southwood Nursing & Retirement Center. Funeral Services will be held Wednesday, August 29, 2018 at 12:30pm at Royal-Hall Funeral Home Chapel with Rev. Ken White officiating. Burial will follow the service in the Clinton Cemetery. 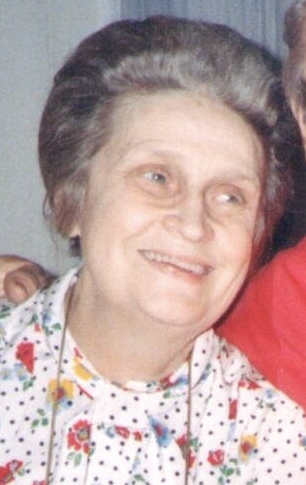 Doris is survived by her daughter, Deborah Holland of Cary; sons, Paul Holland, Jr. (Mickie) of Benson and James Braxton “Jimmy” Holland (Melody) of Clinton; Sister, Shirley M. Hall of Pinehurst; sister-in-law, Carolyn M. Kennedy of Clinton; ten grandchildren, fourteen great-grandchildren and one great-great grandchild. In addition to her parents and husband, she was preceded in death by her eldest daughter, Patsy Holland Norris; two of her sisters: Berneice M. Millard and Wilodyne M. Lane; her brother, Robert E. “Bobby” Malpass and daughter-in-law, Suzanne S. Holland. The family will receive friends one hour prior to the service, beginning at 11:30am at the funeral home. The family wishes to thank the staff of Southwood Nursing & Retirement Center and Liberty Hospice for their compassionate care and kindness. Condolences may be sent by visiting www.royalhallfuneralhome.com. Royal-Hall is honored to serve the Holland Family.